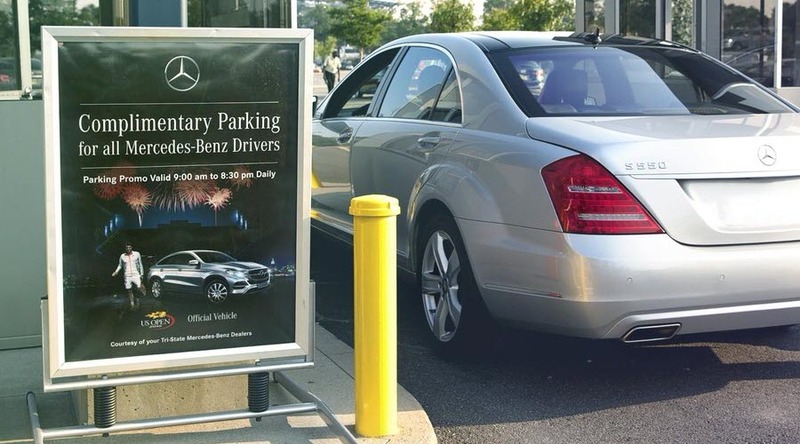 "Mercedes-Benz will offer complimentary parking to all 2018 US Open attendees who arrive in a Mercedes-Benz vehicle. This benefit is offered at general parking lots during every session of the tournament from Monday, August 27 through Sunday, September 9, 2018." If you have a friend with a Benz, offer to carpool together. It does not exclude older vehicles either. We still recommend that fans travel to the US Open via the 7 Train or LIRR to Mets-Willets Point Station. Mercedes-Benz Employees can also enjoy this Buy 1, Get 1 special offer code "BMBUSA2010" to receive one free ticket for each purchased - only valid for the select sessions on the list.